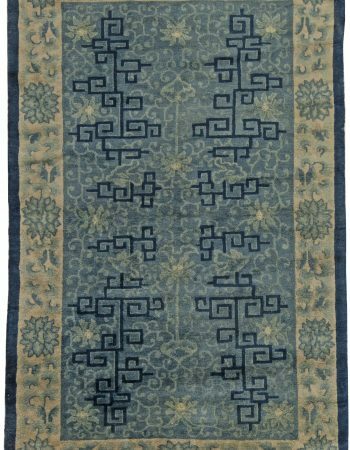 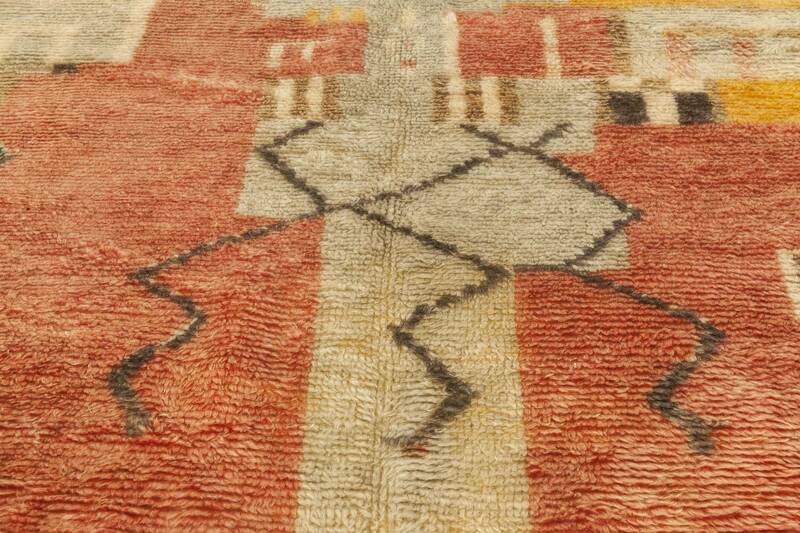 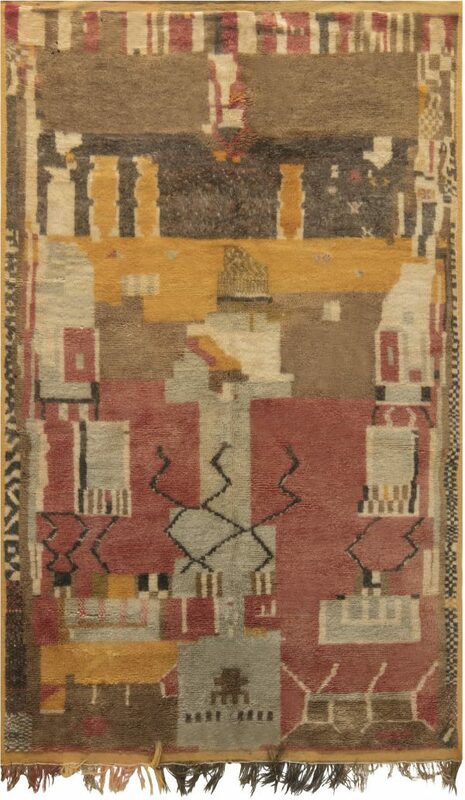 Distinguished by tribal aesthetics and effortless elegance, this vintage rug is a paragon of the mid-20th century Moroccan craftsmanship. Its playful yet perfectly balanced design features geometric and ethnic motifs executed in a warm color palette consisting of mocca, carmine, light brown, gray, beige, muted yellow and slate. 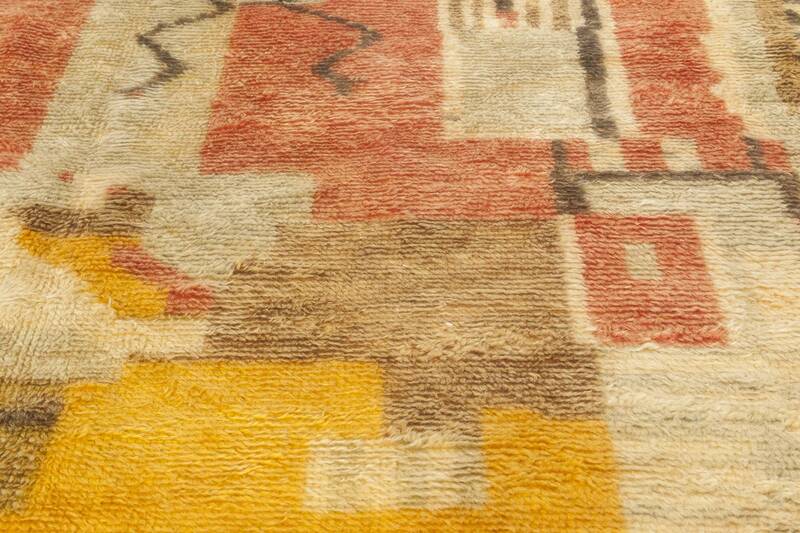 Everything is finished with a lovely fringe. 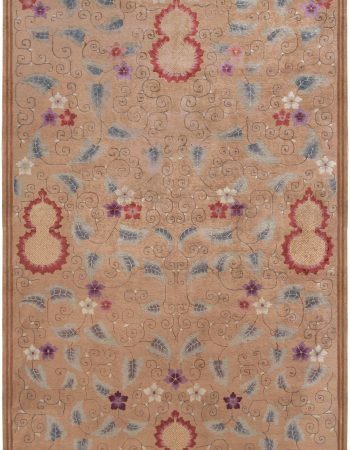 Although traditional, the composition exhibits a remarkably modern character, ready to match all kinds of contemporary décors. 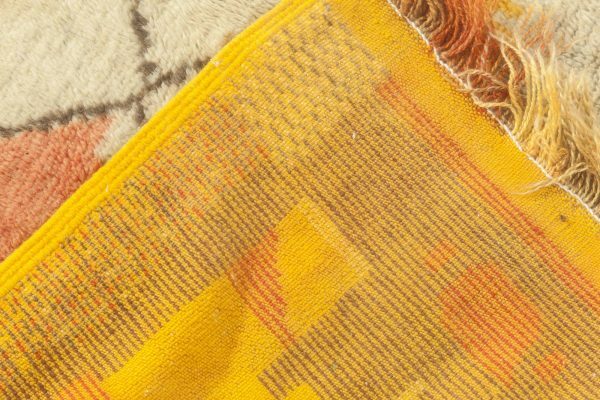 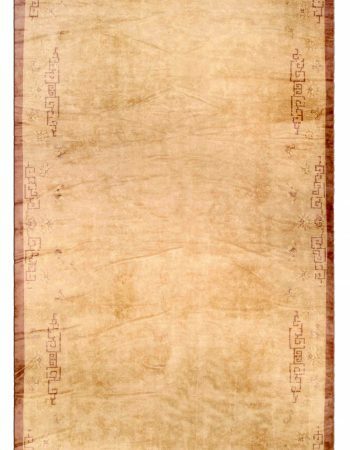 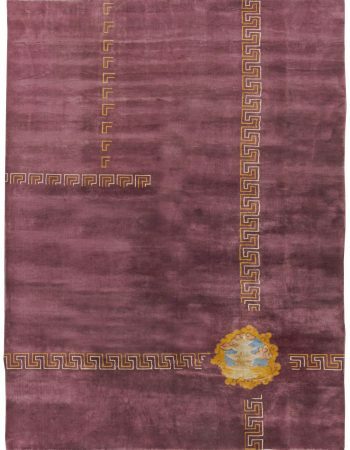 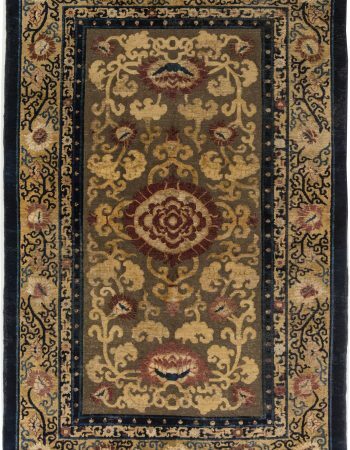 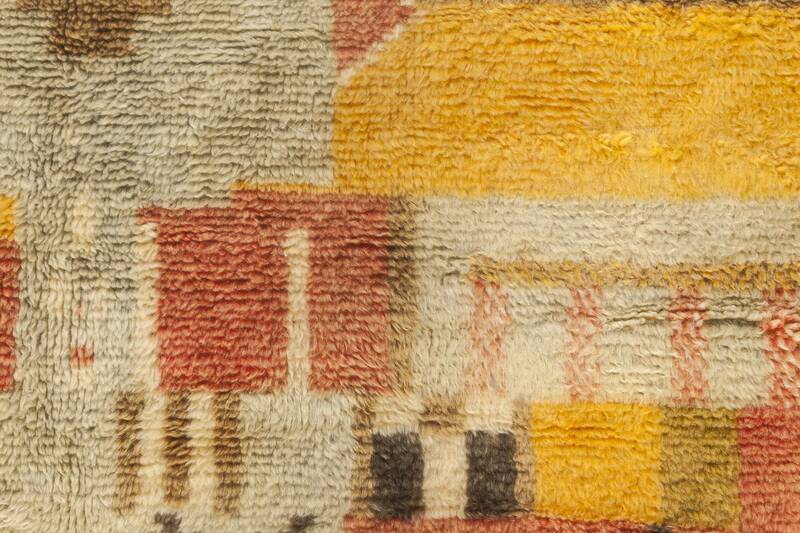 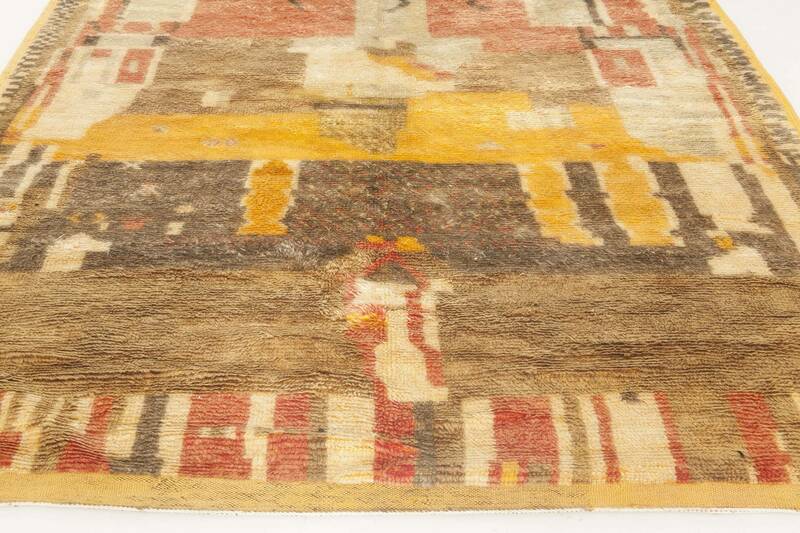 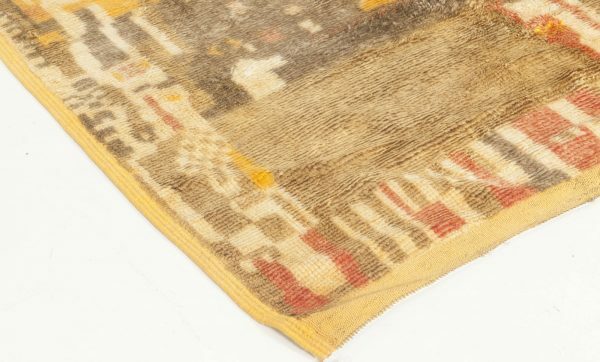 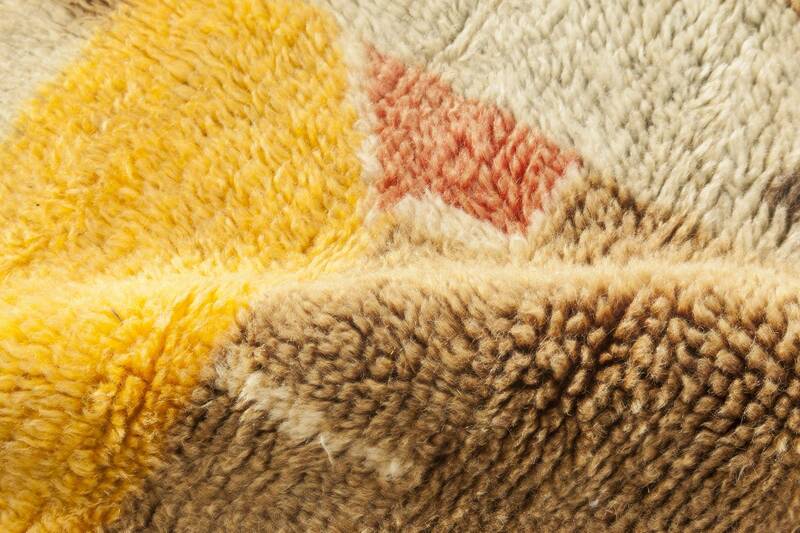 Thanks to the masterful hand-making of the finest wool, the vintage rug has survived until this day with no signs of blemish and, if properly cared for, will withstand years of usage without any signs of damage.